Last year was a learning year for Aric Almirola, his first with Stewart-Haas Racing (SHR). He met an entire new team, new drivers and newer, faster setups that put him in position to win races and finish fifth in the Monster Energy NASCAR Cup Series championship standings. As soon as the 34-year-old Tampa native had it all figured it out – the game was about to change. In October of last year, NASCAR announced new rules packages for the 2019 season. The packages are tailored to the specific tracks on the Cup Series circuit, with a combination of a smaller tapered spacer to reduce engine horsepower to a target goal of 550 – from 750 – and aero ducts to foster tighter racing on a majority of speedways longer than 1 mile. Both features are in place for 17 of the 36 races, debuting this weekend at Atlanta Motor Speedway’s 1.5-mile oval. Almirola came into 2018 with the expectation to adapt, and he knocked down 17 top-10 finishes, four top-fives, led 181 laps on the year, and earned his first win with SHR Oct. 14 at Talladega (Ala.) Superspeedway to clinch a playoff spot. He advanced to the semifinal round before finishing a career-best fifth in the points. Almirola’s 181 laps led in 2018 were more than his previous six full-time Monster Energy NASCAR Cup Series seasons combined. This year, the No. 10 Smithfield Ford driver enters the 2019 season with the same mindset. 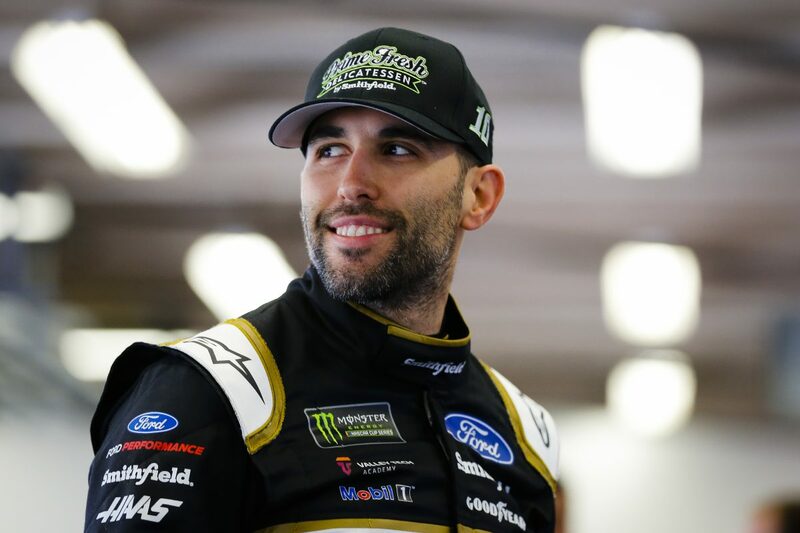 With Atlanta being the first track of the 2019 season to run this new package, it will be far from the first time Almirola and his fellow drivers have experienced tight racing action on a 1.5-mile speedway oval. Almirola raced in the 2018 All-Star Open to clinch a spot in the Monster Energy All-Star Race at Charlotte (N.C.) Motor Speedway, and a similar rules package was used. The Smithfield driver led 11 laps in the opening stage and raced in and around the top-five for the remainder of that race. While he didn’t win, he got a taste of what is to come this weekend at Atlanta. Unlike the All-Star Race last year, teams will have the opportunity to take the notes they learned from Atlanta to gain an advantage for Las Vegas the following week. The question is, how long will it take for elite teams to break away and dominate the field like in years past? Almirola’s racecar at Atlanta this weekend will feature the traditional black-and-white Smithfield paint scheme. Founded in 1936, Smithfield is a leading provider of high-quality pork products, with a vast product portfolio including smoked meats, hams, bacon, sausage, ribs, and a wide variety of fresh pork cuts.Smithfield is based approximately five hours northeast of SHR headquarters in Smithfield, Virginia. Are you excited to run the Mustang in this first 1.5-mile race of the year?